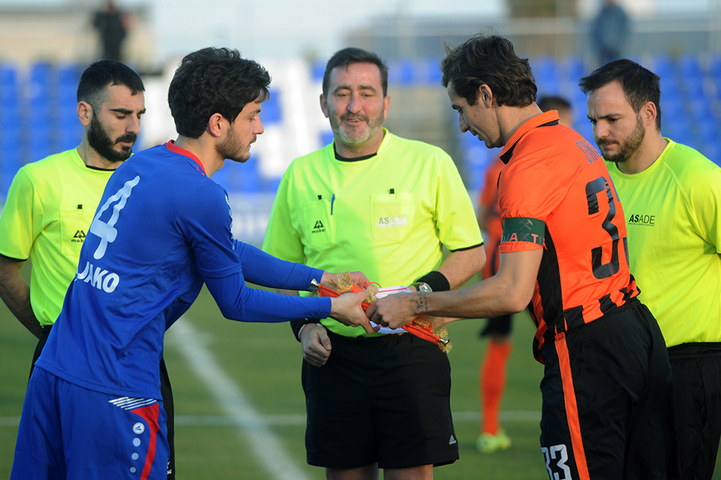 The Pitmen played a friendly match with Lokomotiv Tbilisi on 8 February in Spain. In the third match of the Spanish training camp, there was a number of changes to the starting lineup. Bogdan Sarnavskyy was stationed in goal, Serhiy Kryvtsov and Mykola Matvienko played at the heart of defence, and Andriy Korobenko was deployed as a holding midfielder. Andriy Boryachuk was spearheading the attack. The Pitmen could have scored in the very early stages of the game, but Wellington Nem failed to slot in a cross from Viktor Kovalenko, and a Darijo Srna shot flew wide of the goal post. However, on 8 minutes, the scoring was opened: Maksym Malyshev fought to the end inside the opposition penalty area before sending the ball past the goalkeeper, who had rushed out of goal – 1-0. Soon Lokomotiv’s goalkeeper parried away a powerful shot from Ismaily. The Pitmen dominated proceedings and doubled their lead on 27 minutes: Taison and Korobenko combined inside the penalty area before Boryachuk made it 2-0. After a few minutes, the referee signaled Srna’s foul inside Shakhtar’s penalty area and awarded a penalty kick, which the Georgian side converted, although Sarnavskyy guessed the direction of the shot – 2-1. Before the end of the first half, the scoreline remained the same, and during the break Mircea Lucescu made ten substitutions, leaving only Kovalenko. On 53 minutes, the Pitmen netted their third goal. Vyacheslav Shevchuk made a run down left before drilling a low cross into the penalty area: the ball was picked by Marlos who fired an unstoppable shot to make it 3-1. The fourth goal on 64 minutes also came from the left flank: Oleksandr Zubkov got on the ball before crossing to the near post for Oleksandr Gladkyy to send the ball into the far corner of the net. After a couple of minutes, Gladkyy seized on an error from Lokomotiv’s goalkepr to fire an unstoppable shot to make it 5-1. Before the final whistle, the Pitmen continued dominating. Facundo Ferreyra failed to score on two occasions as he bore down on goal, Gladkyy could have sealed his hat trick. The Georgian team rarely troubled Andriy Pyatov, although in the remaining time they narrowed the game – 5-2. The Pitmen claimed their third win at the training camp in Spain.